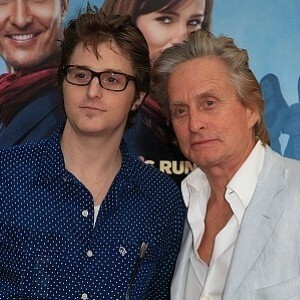 The 31-year-old son of Oscar-winning actor Michael Douglas was recently sentenced to five years in prison for drug charges. Cameron Douglas, an aspiring actor and D.J., will also have to serve five years of supervised release after he gets out of jail. However, the punishment could have been worse as federal guidelines suggest a minimum 10-year prison sentence for the drug charges Cameron faced. Various reports suggest a five-page, heartfelt letter handwritten by Michael Douglas may have swayed the judge to lighten the sentence. "I have some idea of the pressure of finding your own identity with a famous father," Douglas wrote, referring to his own father, acting legend Kirk Douglas. "I’m not sure I can comprehend it with two generations to deal with." Douglas also wrote that he and several other family members have struggled with substance abuse. "He is an adult and responsible for his own actions. We do know, however, that genes, family and peer pressure are a strong influence on a substance abuser." He added that Cameron was raised in a hostile household as his marriage with first wife Diandra was falling apart and that he was often away for work, leaving Cameron without a male role model. "I love my son, but I’m not blind to his actions. I don’t want to see him break," Douglas added. The 65-year old actor is now married to actress Catherine Zeta-Jones and has two young children. He will reprise his Oscar-winning role as Wall Street corporate raider Gordon Gekko in the upcoming sequel Wall Street: Money Never Sleeps, due in theaters in September.